With the recent slowdown in the Singapore private residential property market, It’s no wonder why some property buyers today see executive condominium (EC) as attractive investment opportunities. Due to the restrictions in purchasing an EC, such investment is definitely a long-term one. One of the key restriction for ECs is that there is a minimum occupation period of 5 years after which the property owner is permitted to sell his EC unit only to a Singapore citizen or a permanent resident. Only from the 10th year after obtaining the Temporary Occupation Permit (TOP), the owner can sell his EC unit without any restrictions on the resale market, like any other private condominiums in Singapore. Based on statistics and analysis from Urban Redevelopment Authority of Singapore (URA), ECs tend to appreciate stronger than private condominiums because of the restrictions (mentioned above) being lifted on the 5th and 10th years from TOP. For instance, an executive condominium in Ang Mo Kio called Nuovo, has risen by 127% from its average price when launched in 2001. Currently units are transacting at an average per square foot (psf) price of S$895. Another example is Bishan Loft, which was also launched in 2001 as an EC project. 10 years after it was completed, transaction prices rose by 169% (at an average price of S$1,132 psf). In today’s market, the only worrying factor for price appreciation is probably the fear of supply outpacing the demand. As of end July 2015, there were a total of 2,898 EC units still left unsold. 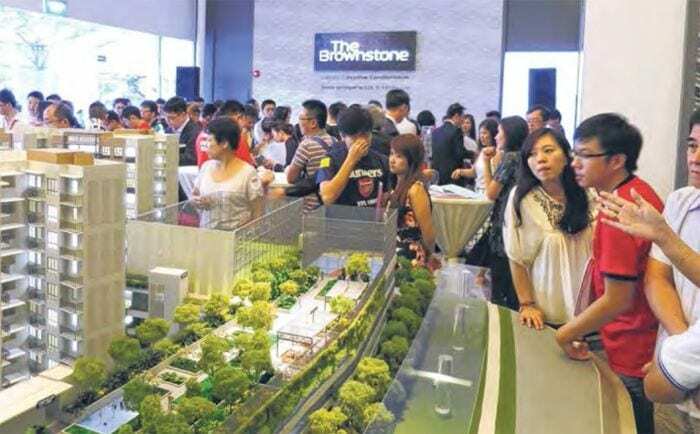 On top of that, EC buyers will be spoilt with choices, especially in areas like Sengkang and Punggol, where they will find plenty of unsold units in executive condo launches which have been in the market for a while, such as The Vales, The Amore, The Terrace and Bellewaters etc. Also noted was the EC boom in the northern regions which we saw launches such as Signature at Yishun, The Brownstone at Sembawang and The Visionaire EC next to the upcoming Canberra MRT Station. According to property experts, first-timers are finding ECs as more attractive propositions, given their price advantage over private residential condos and the option to apply for housing grants. Although the resale rulings are seemingly more restrictive, ECs are still drawing property buyers as they are more affordable in general. So what’s a good entry price for an EC? Based on property analysts’ recommendation, the price of an EC should be minimally a 20% difference as compared to a 99-year leasehold private condominium within the same area. Looking at the upcoming trend of launches, there will be more EC launches hitting the property market than private condo launches between now till early 2016. As of current, the only private residential new launch condo projects running are Thomson Impressions on Lorong Puntong by Nanshan Group, Principal Garden at Prince Charles Crescent by UOL Group and the upcoming The Poiz Residences located next to Potong Pasir MRT Station, which looks to be the last few launches to end 2015.